Pathare Prabhu are among the earliest settlers in the city of Mumbai. Pathare Prabhu’s are known to have one of the oldest academic traditions amongst Hindus on par with Brahmins. Pathare Prabhu trace their descent much further back in Indian History from King Ashwapati (circa 700.B.C ) who was a monarch of Nepal and from the solar lineage of Lord Ram. Members of Pathare Prabhus community owned places in Mumbai like Fort, Palav Road (present Girgaum Road), Laini (present Princess Street), Girgaon Back Road (present V. P. Road) & Navi Wadi. Likewise places in Malad, Goregaon, Bhayendar, Kashi-Meera, Uttan, Uran, Kelve Mahim (now Mahim), Chene were also owned by them. A major part of present day Khar is still owned by the Pathare Prabhus. 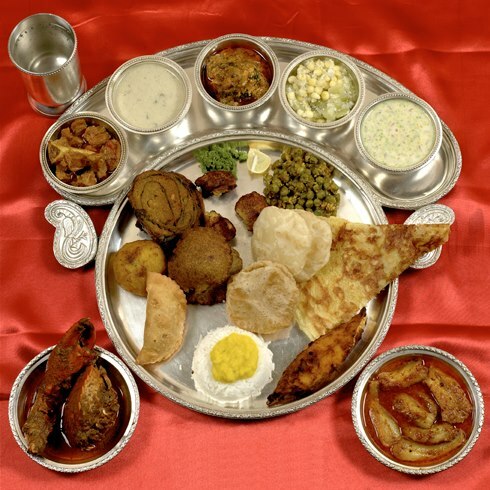 Pathare Prabhu are known for their love for cuisine, arts, religion, education and philosophy. In line with their love for cuisine, Prabhu Prabhat one of their oldest monthly publication is organizing a two days of mouth watering traditional Pathare Prabhu Food Extravaganza. We look forward to having you join us and relish the delicacies dished out at this exciting event! Ranjana sharma what is charges for this ?